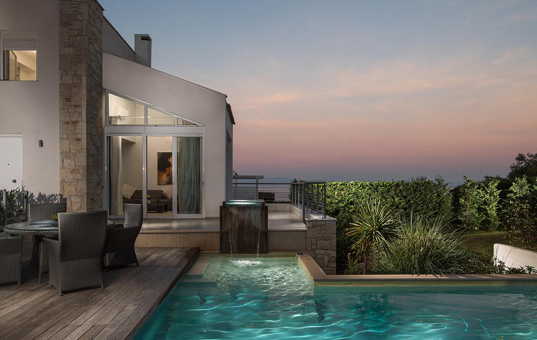 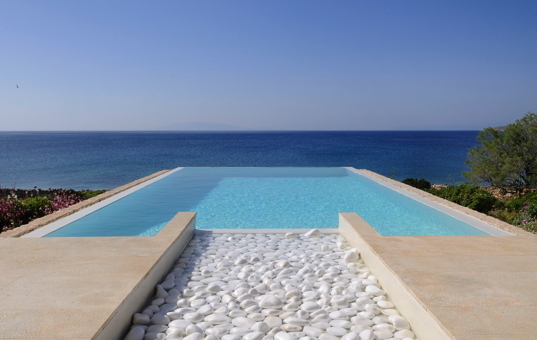 Exclusive holiday villas in Greece and luxury rental villas by the sea in Greece - personally selected for you at the most beautiful spots. 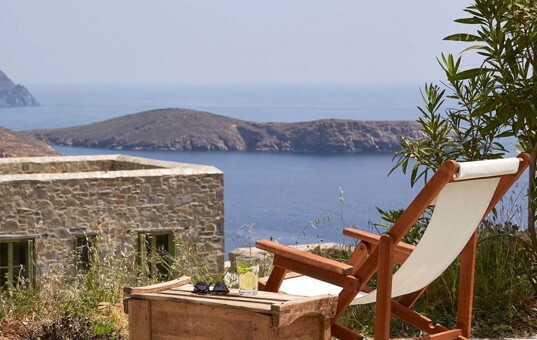 Greece is known for its variety of long beautiful beaches and turquoise water, the heritage of culture , the beautiful islands and the romantic nature as well as its hospitality. 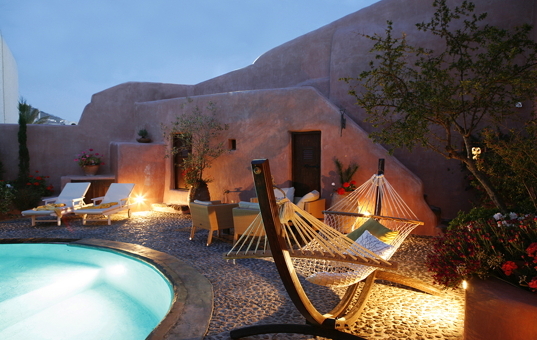 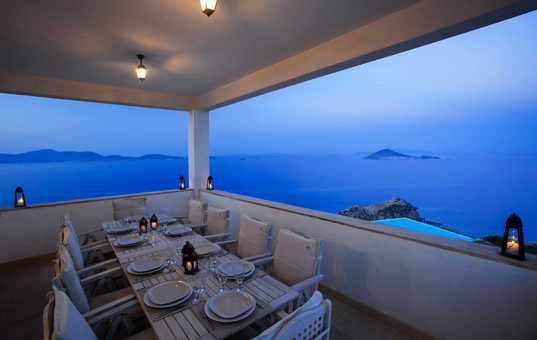 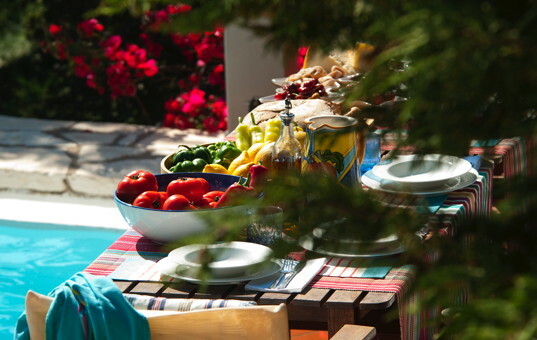 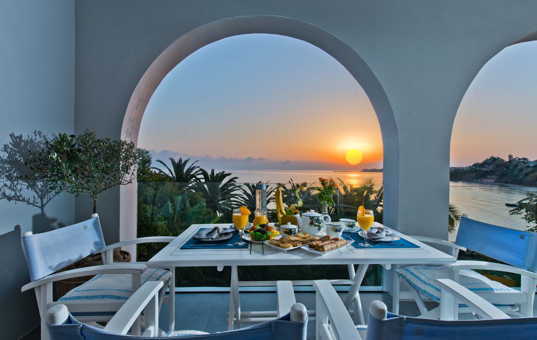 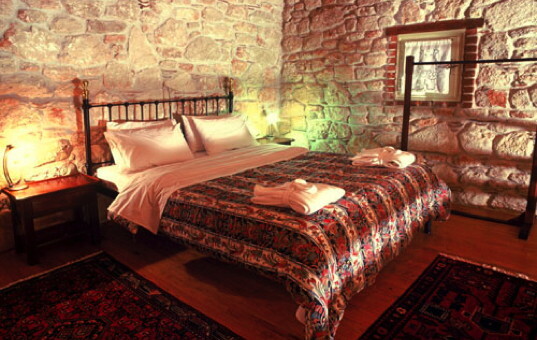 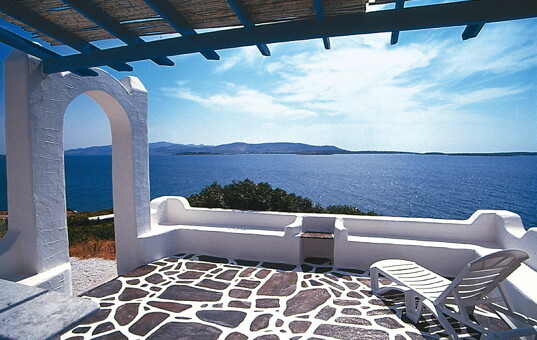 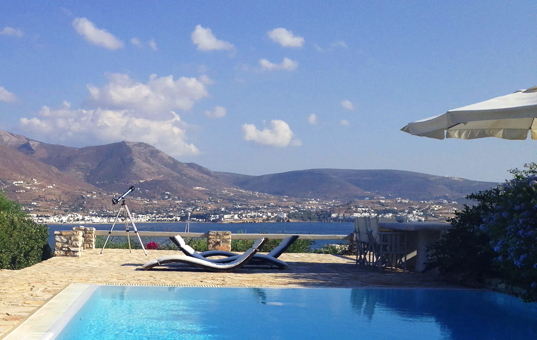 Holidays in Greece, in the „Land of Gods“ is pure recovery and relaxation. 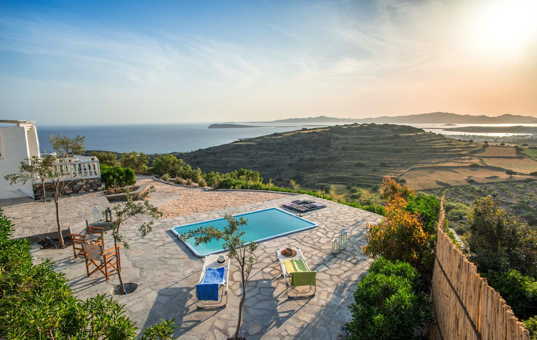 Nearly all our holiday villas in Greece on the mainland or on the Greek islands provide a private pool and often the beach can be reached within a short walk. 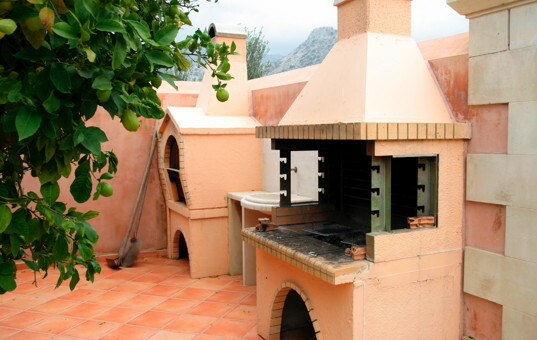 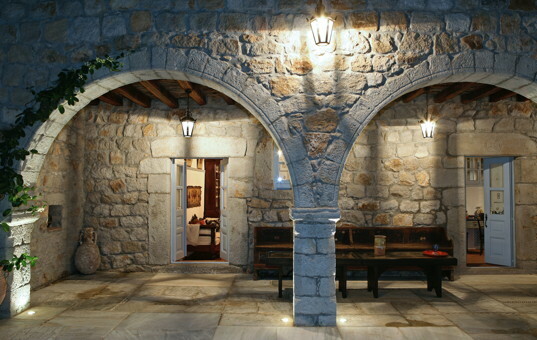 A near by tavern with delicious fresh grilled fish is truely not far either. 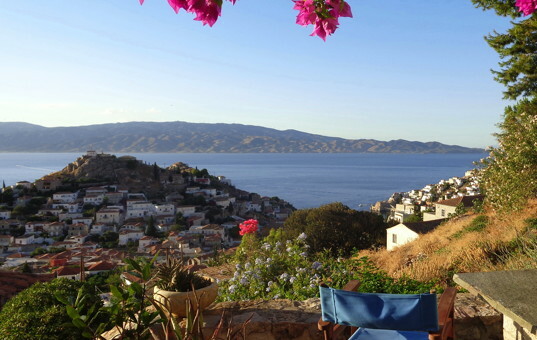 We recommend you our Classical Greek Islands Cruise (7 Nights / 8 Days) which is an excellent experience to combine with a vacation villa booking on Greek Islands. 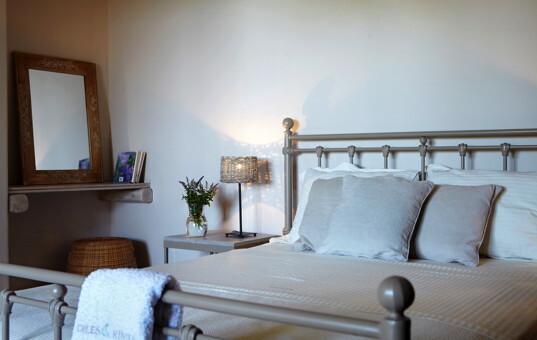 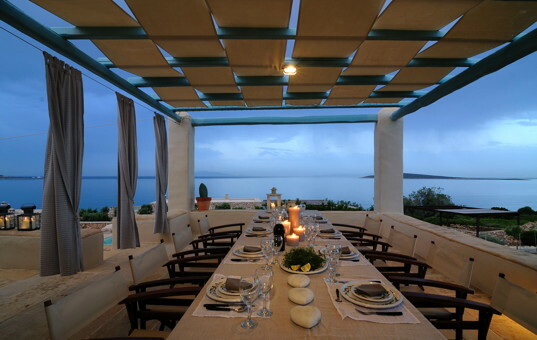 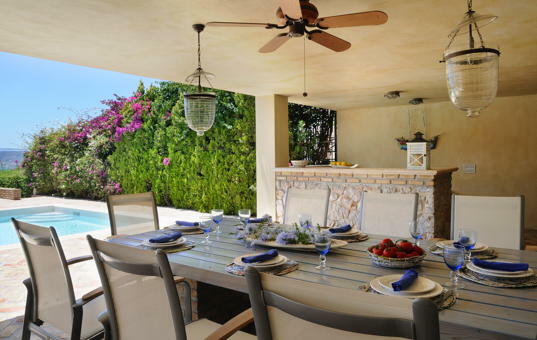 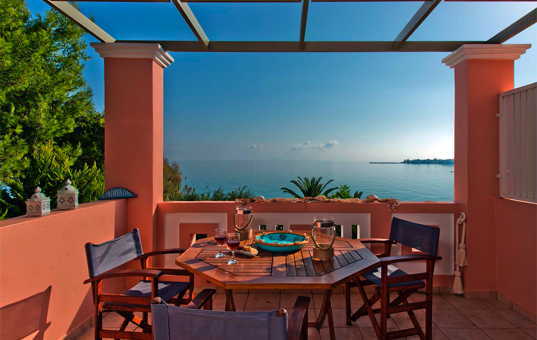 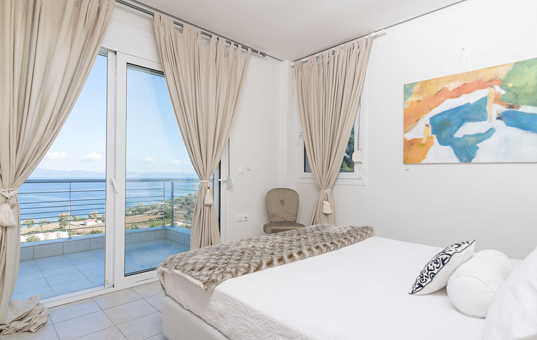 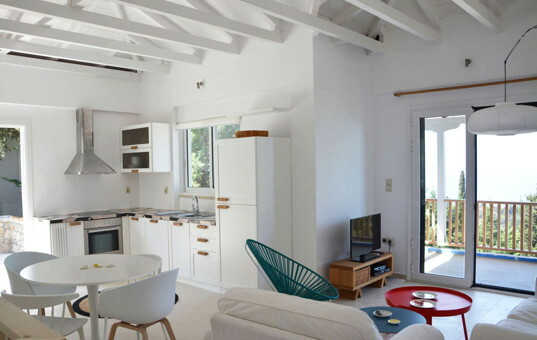 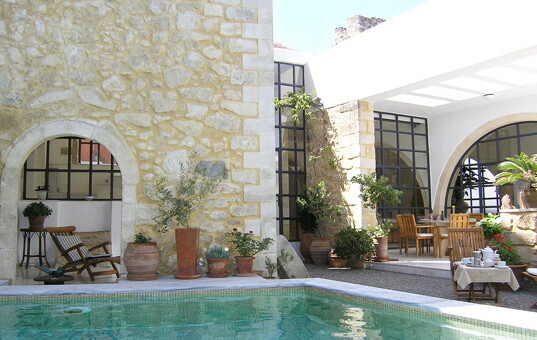 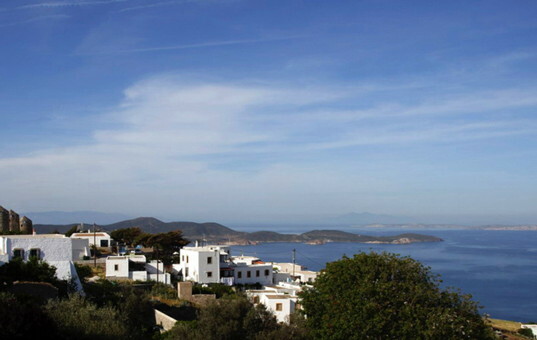 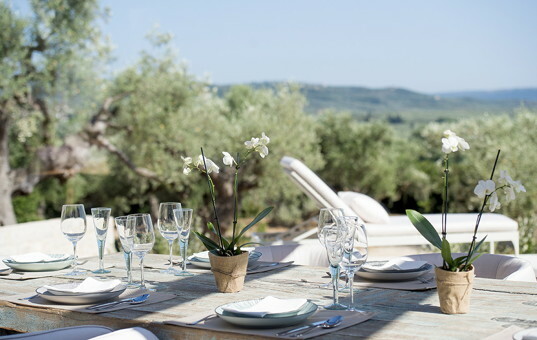 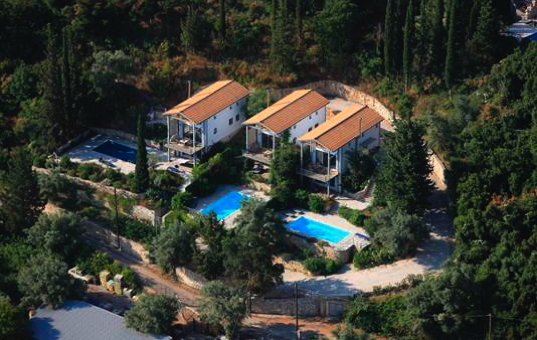 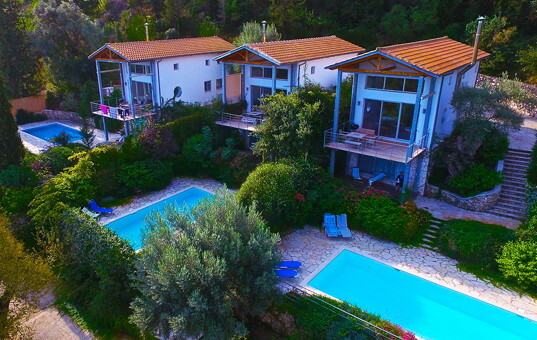 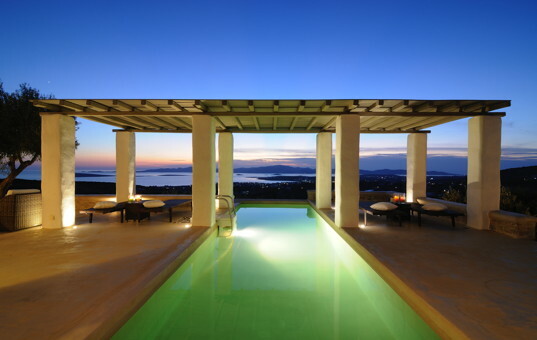 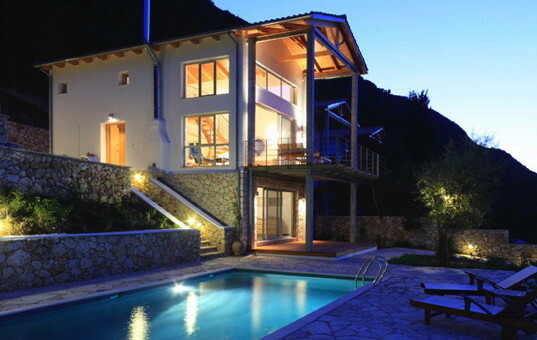 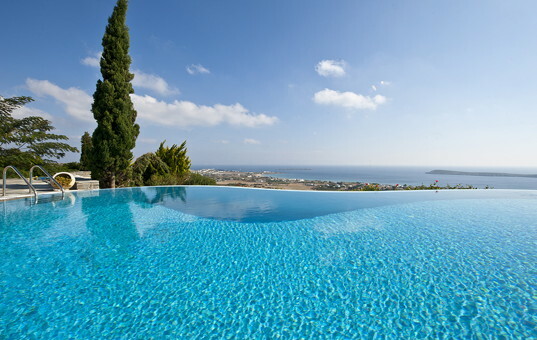 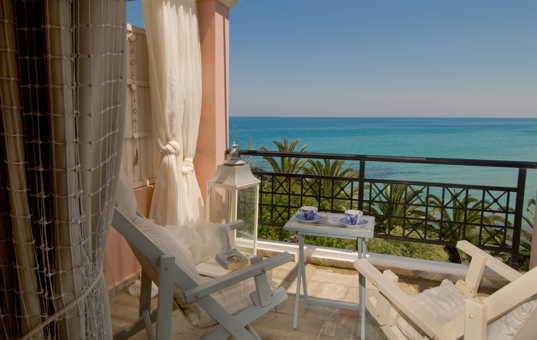 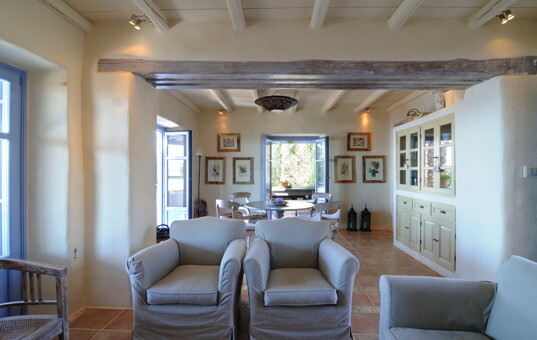 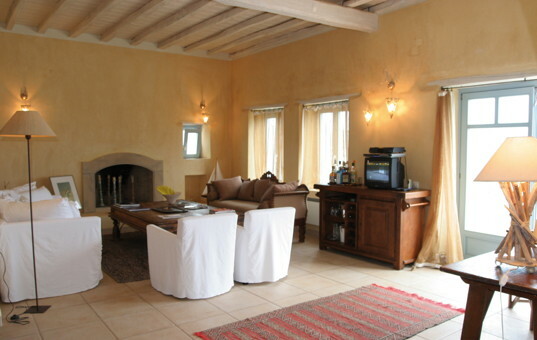 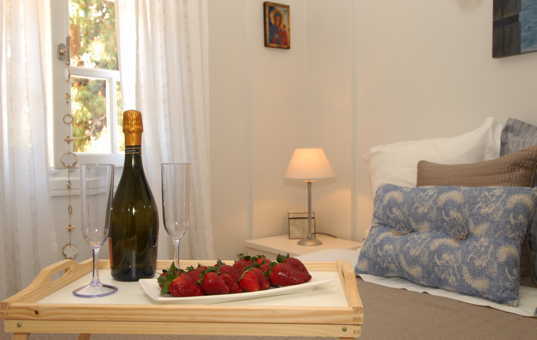 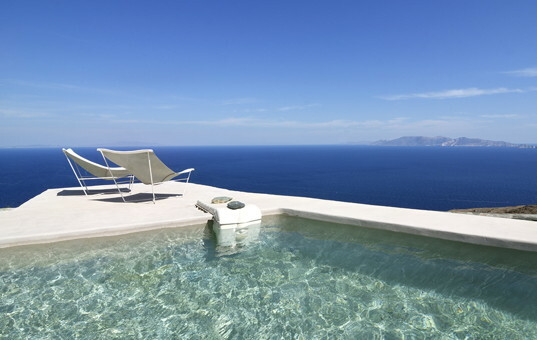 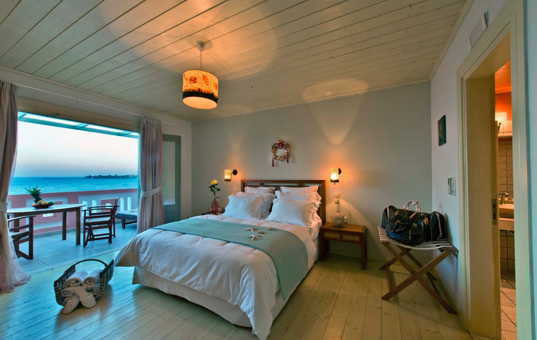 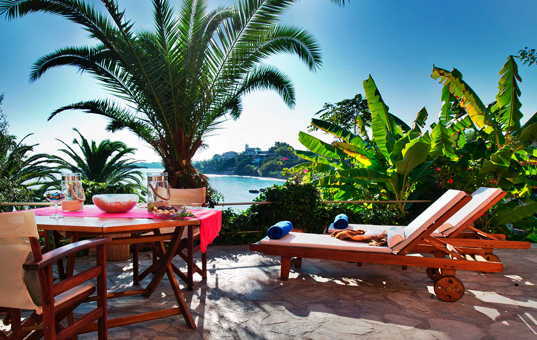 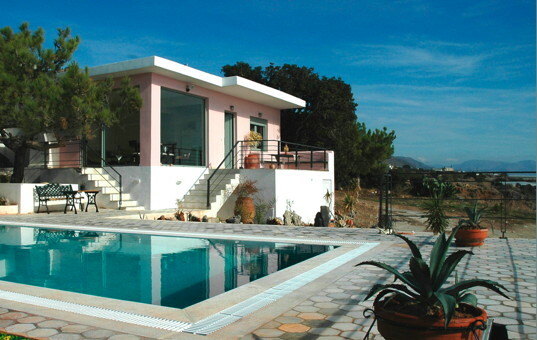 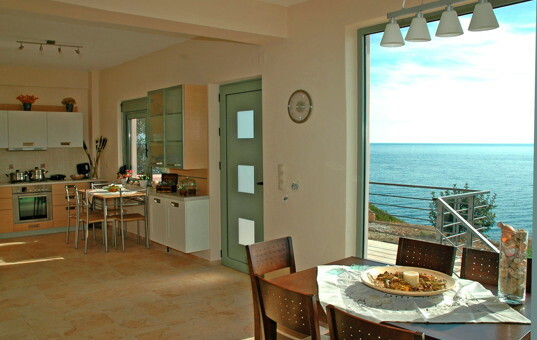 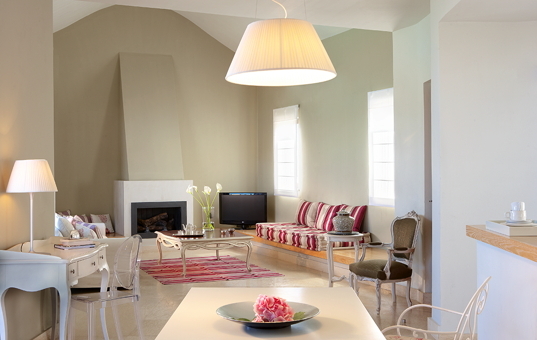 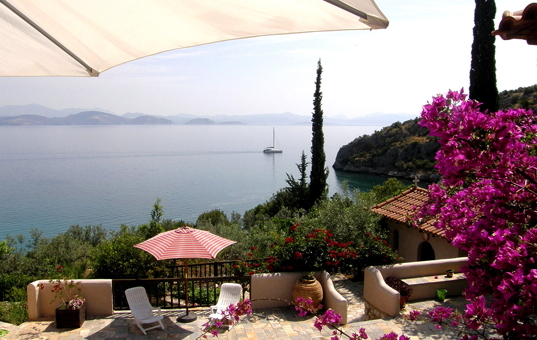 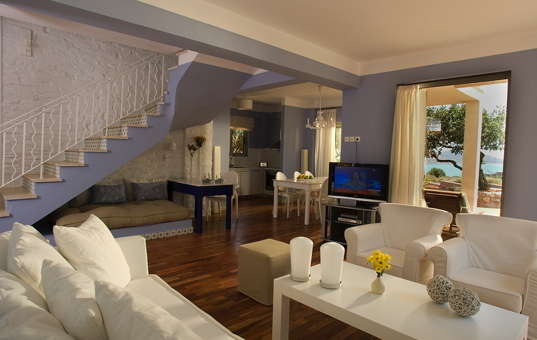 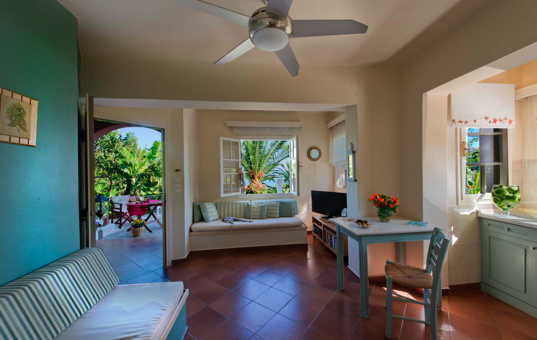 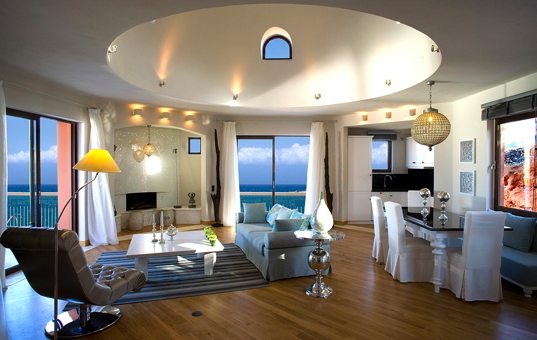 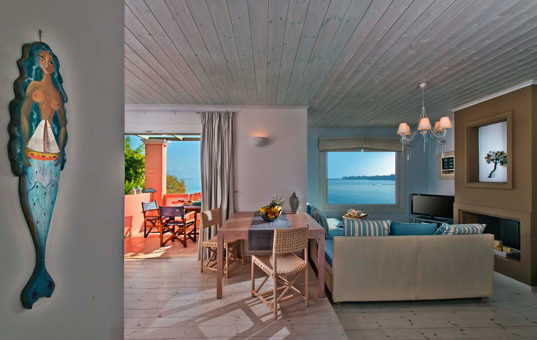 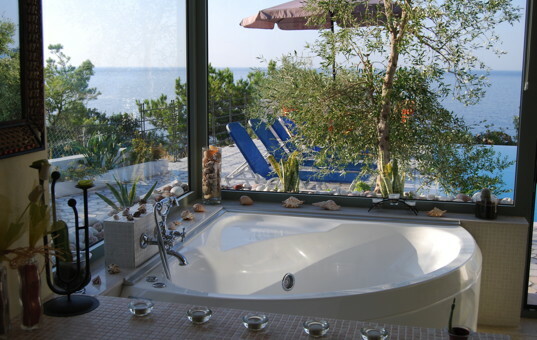 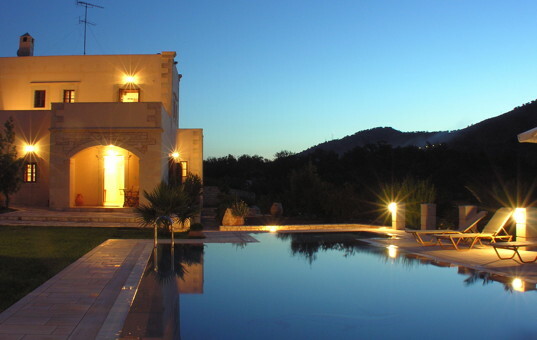 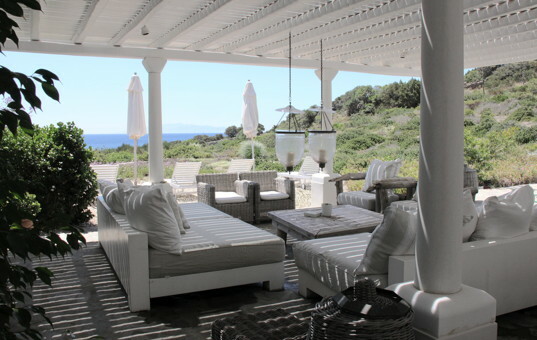 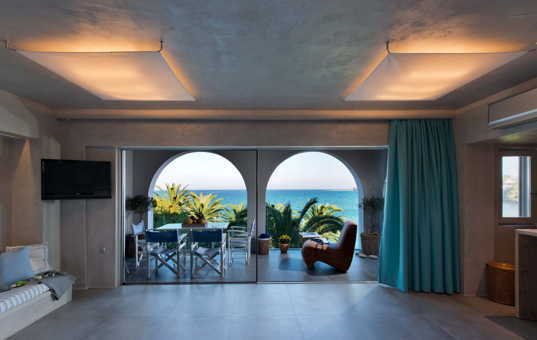 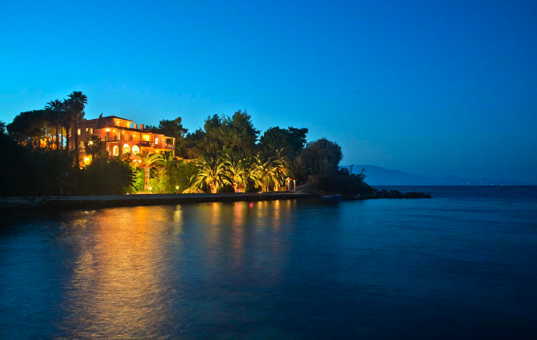 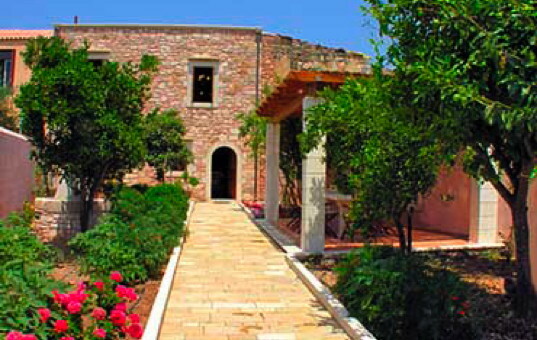 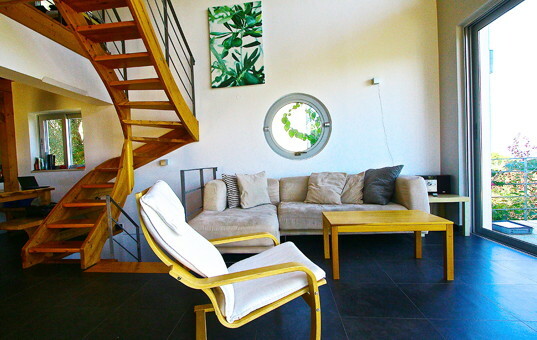 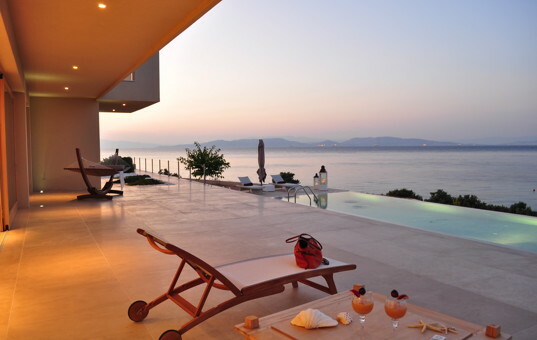 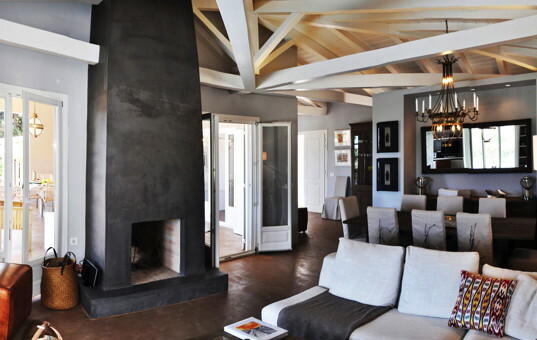 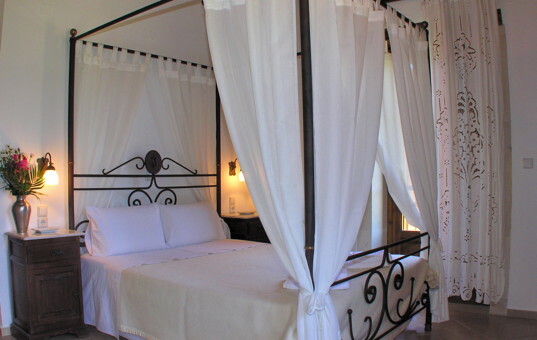 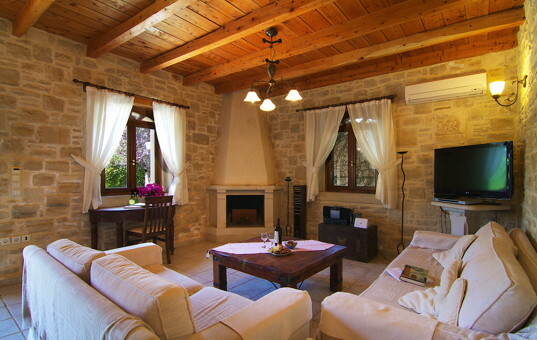 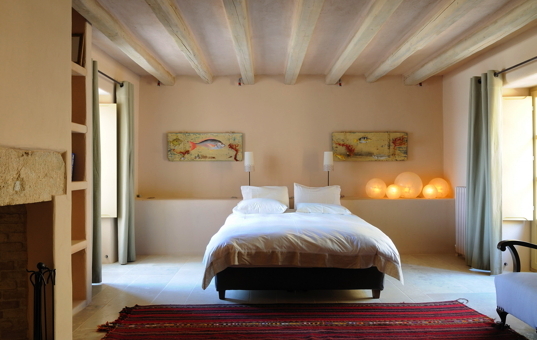 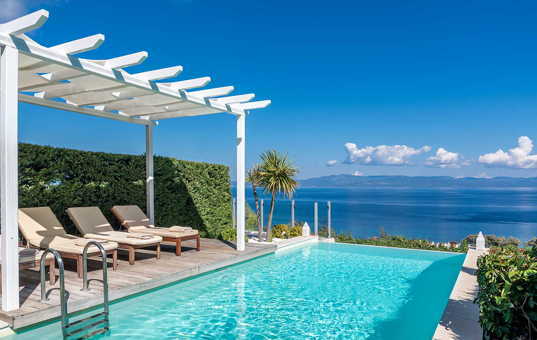 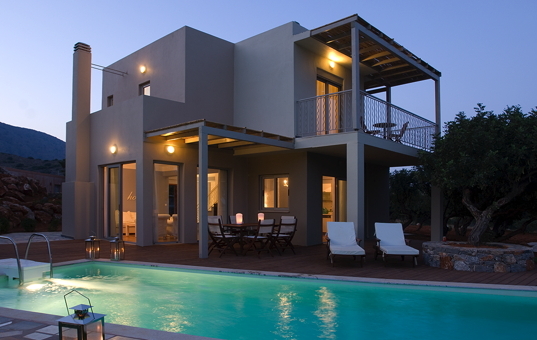 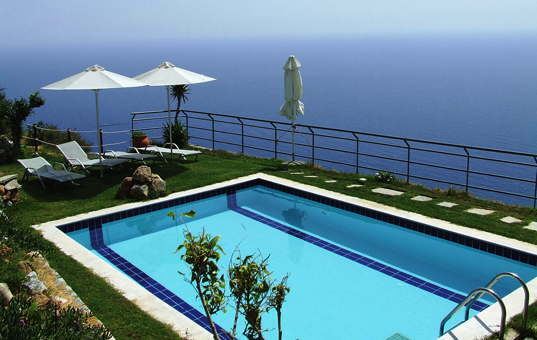 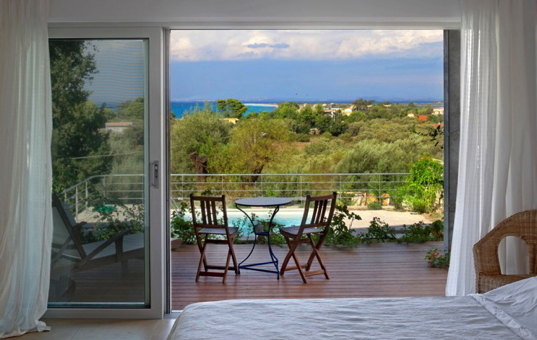 Villa Olive Grove is located on a hillside on the Southwest coast of Cephalonia with sweeping views of the Ionian Sea. 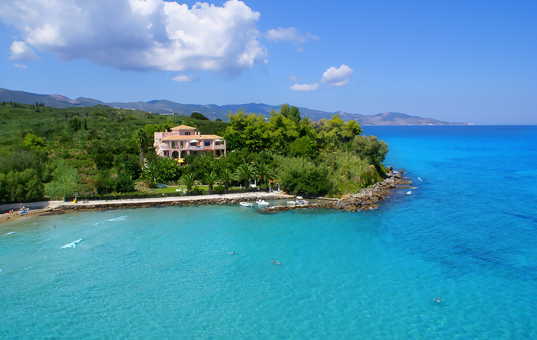 The sandy beach of Trapezaki is about 1.5 km away, even a short hike brings you down to the beach. 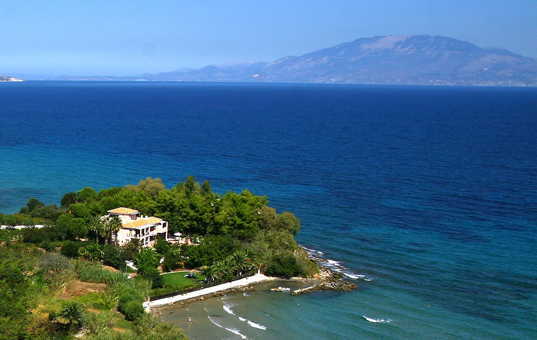 Further beautiful long sandy beaches can be reached in a few minutes by car. 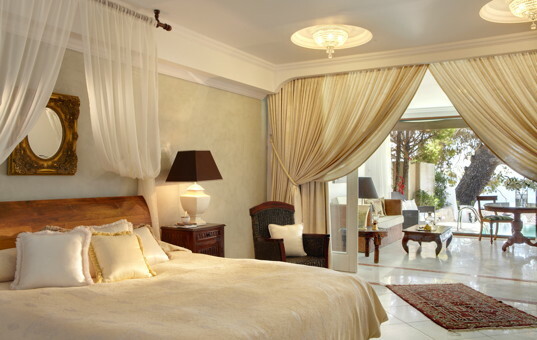 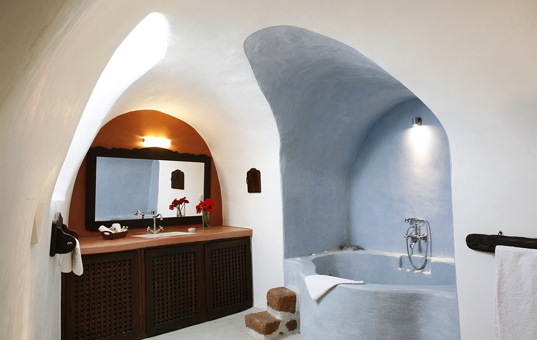 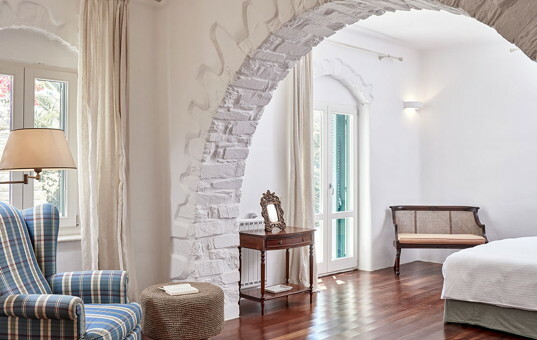 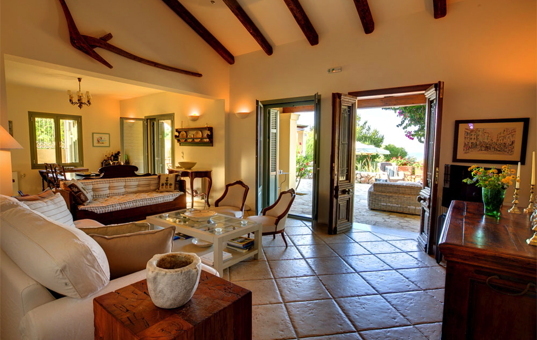 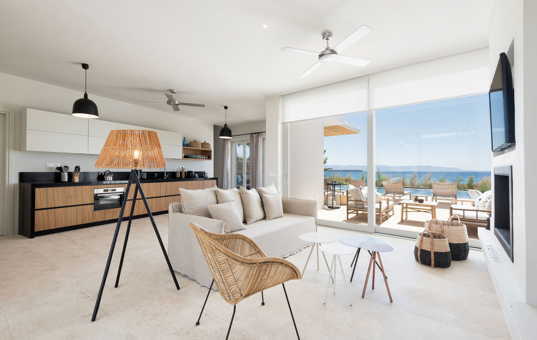 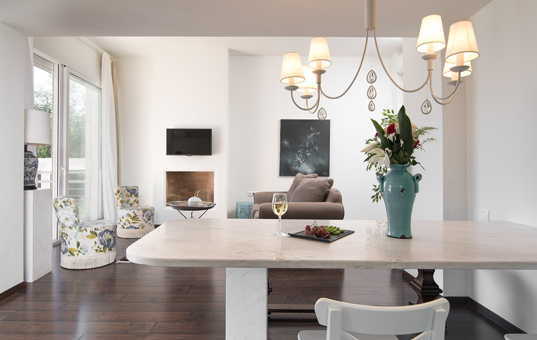 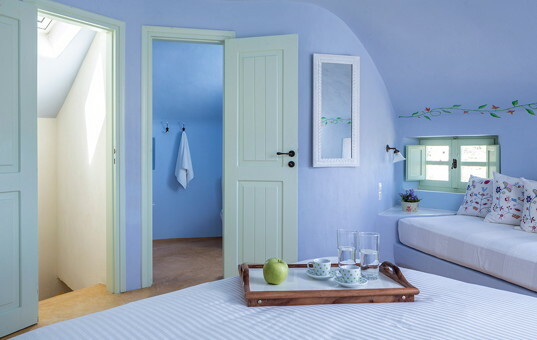 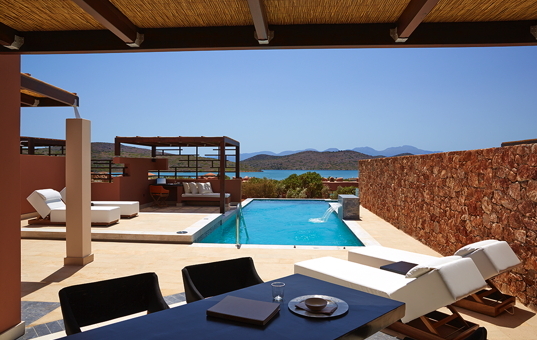 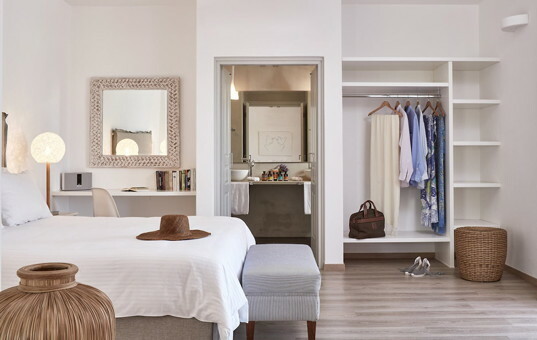 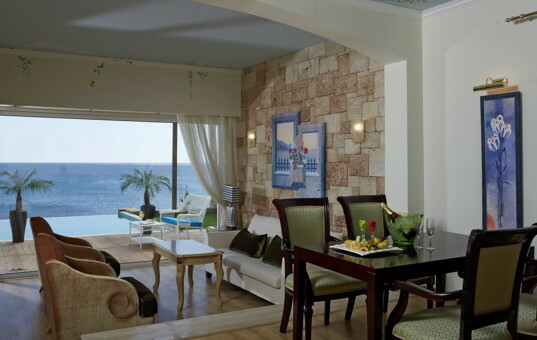 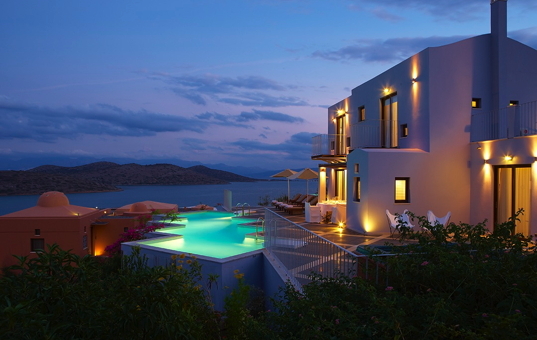 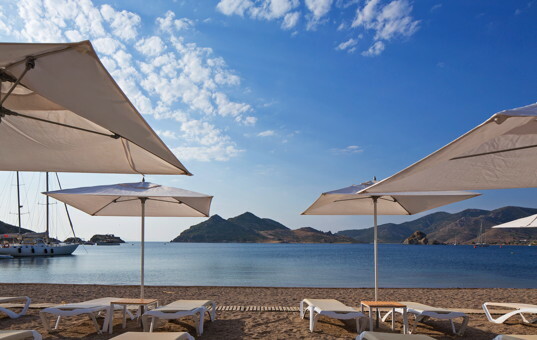 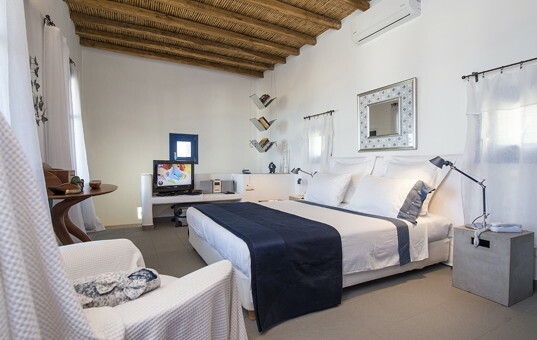 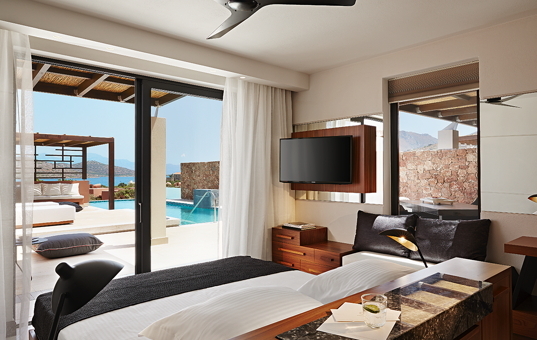 These magnificent Elounda Luxury Residence Villas in the resort "Domes of Elounda" will impress you instantly with their sheer opulence and their state of the art design. 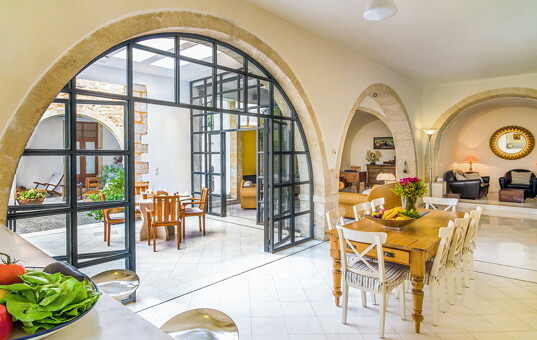 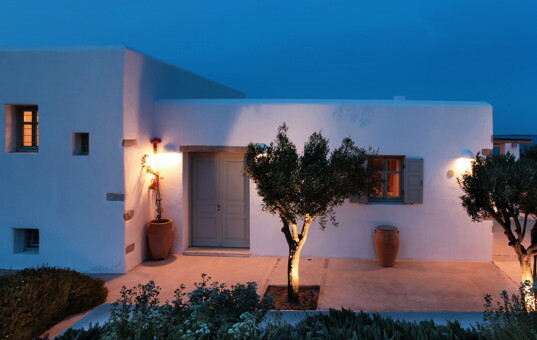 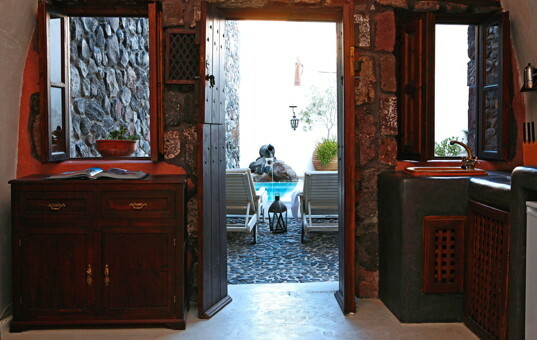 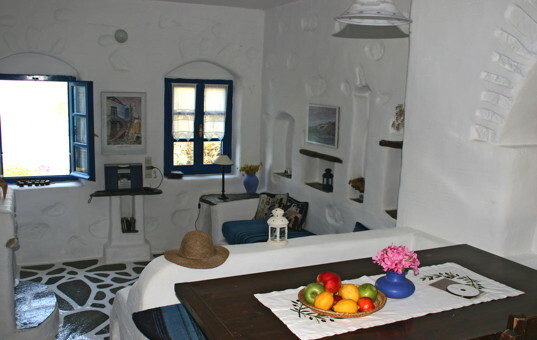 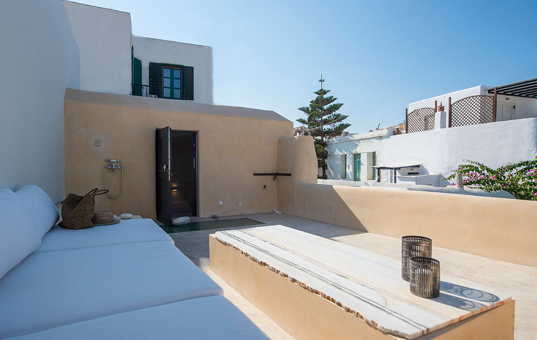 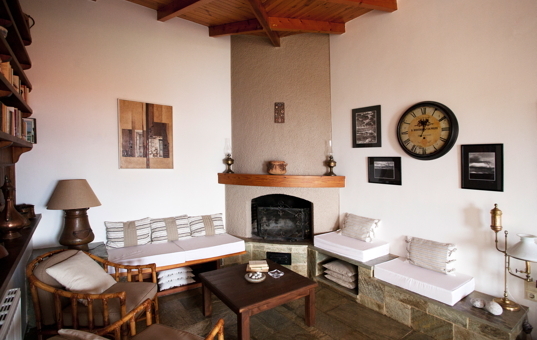 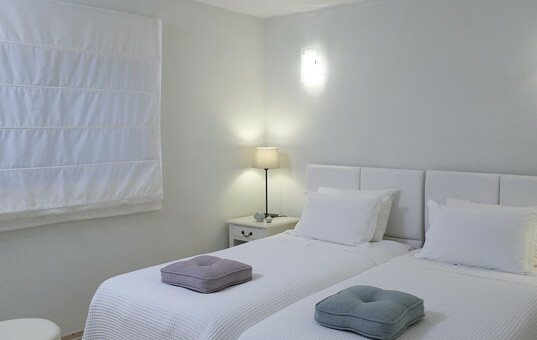 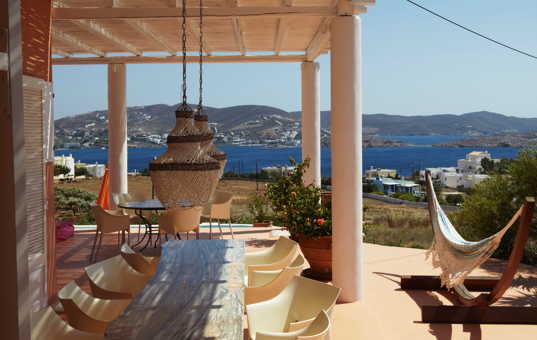 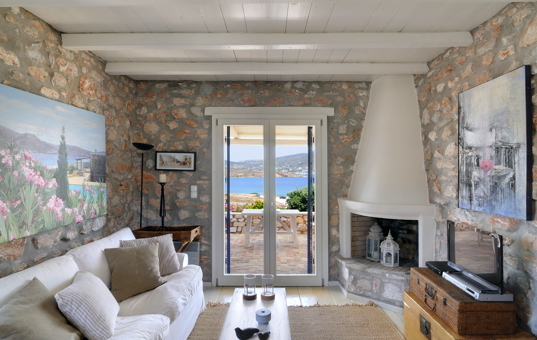 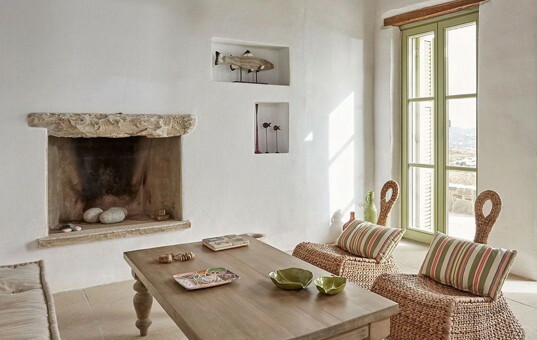 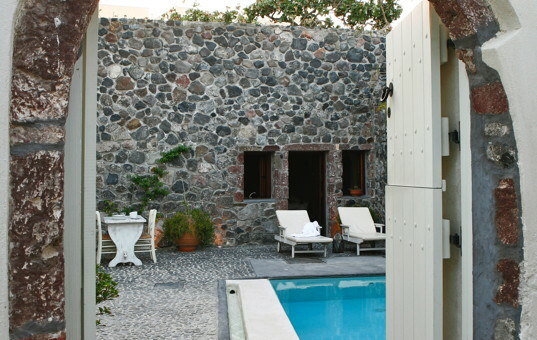 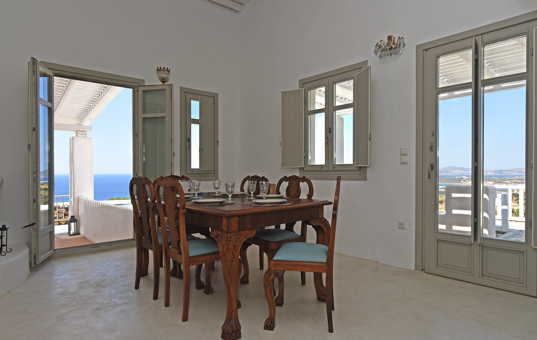 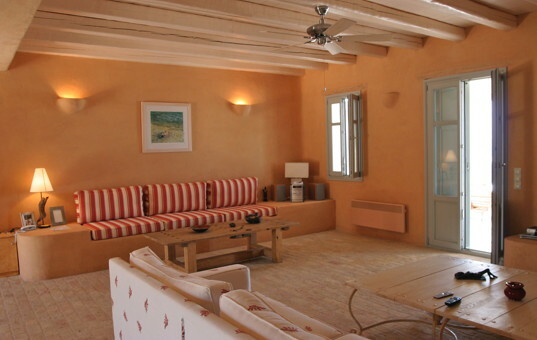 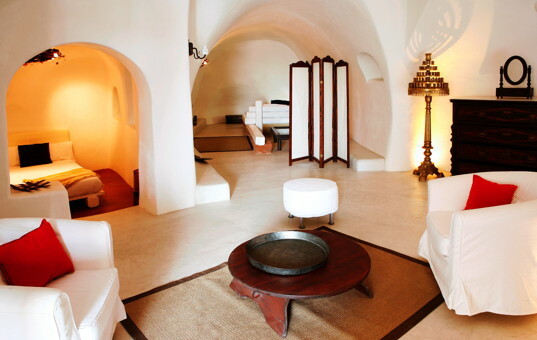 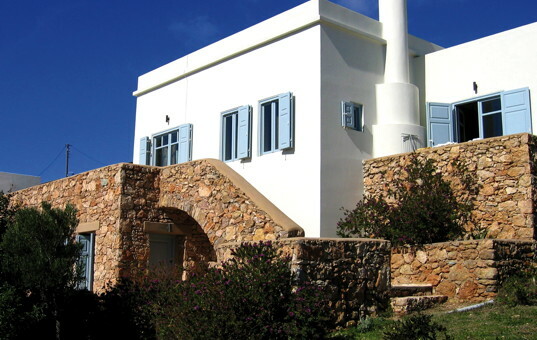 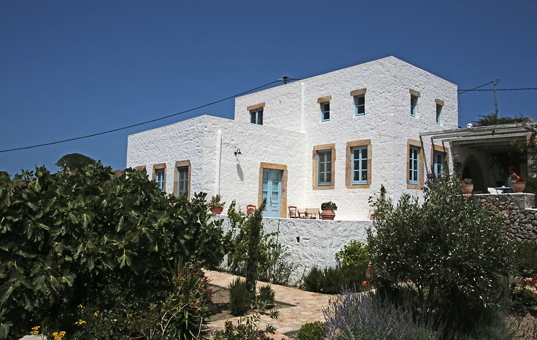 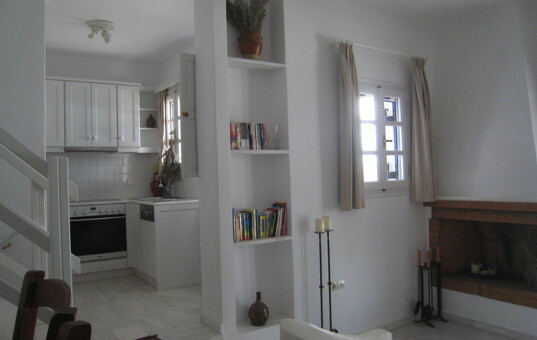 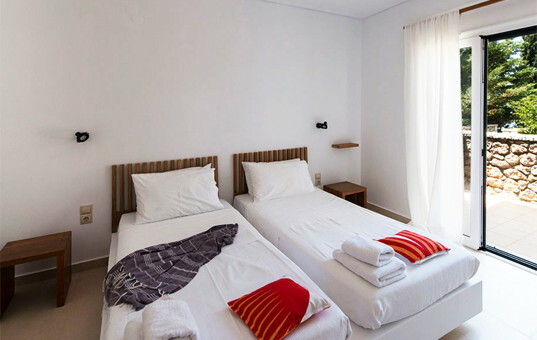 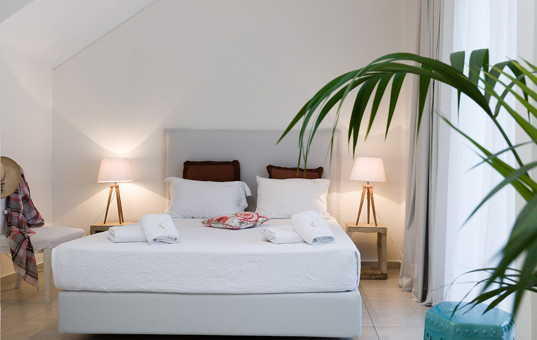 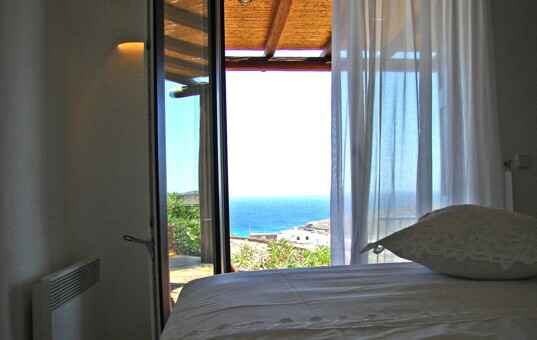 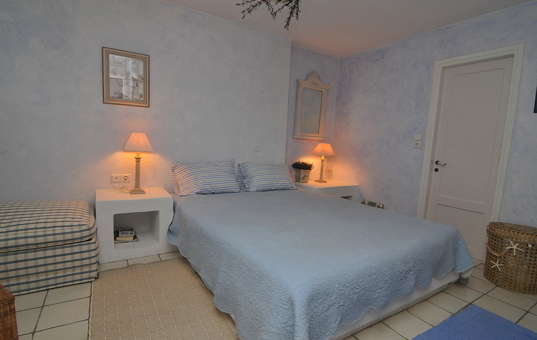 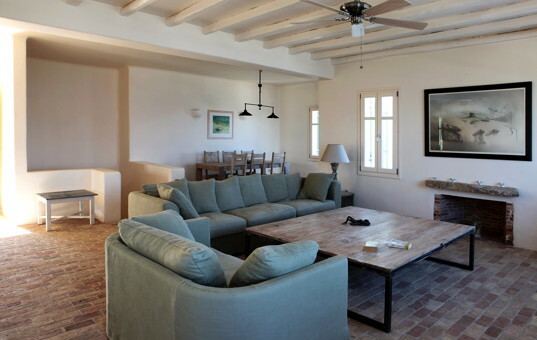 Agia Irini 3 | Charming holiday home in the traditional Cycladic style, only 30 meters away from the sea. 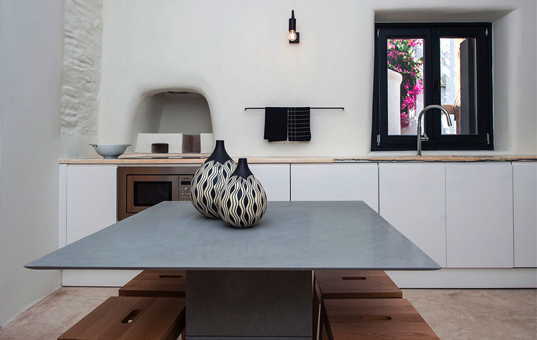 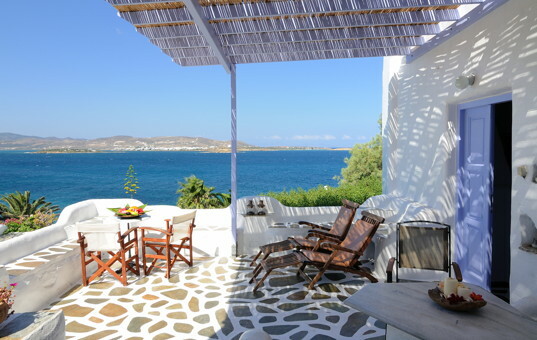 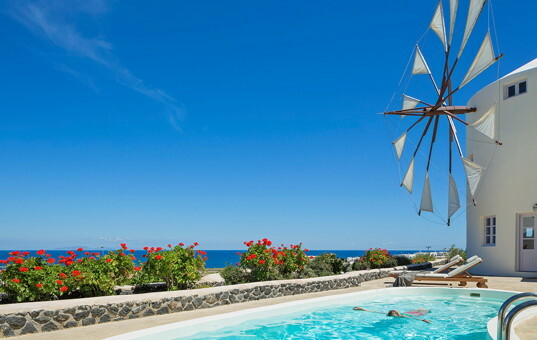 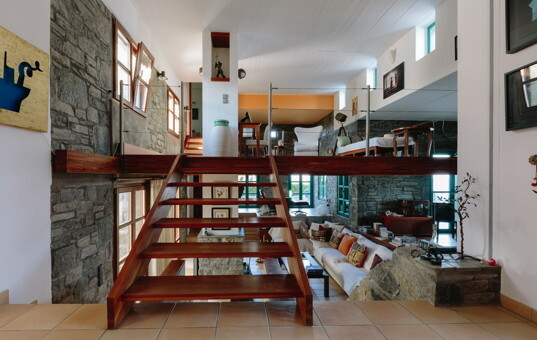 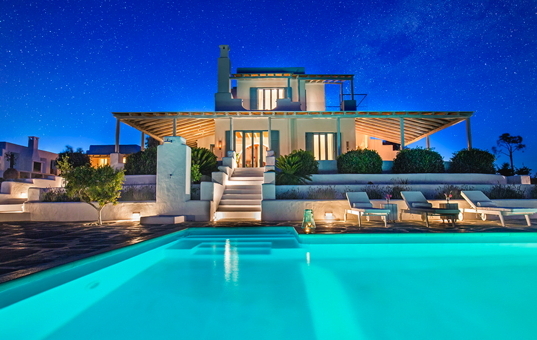 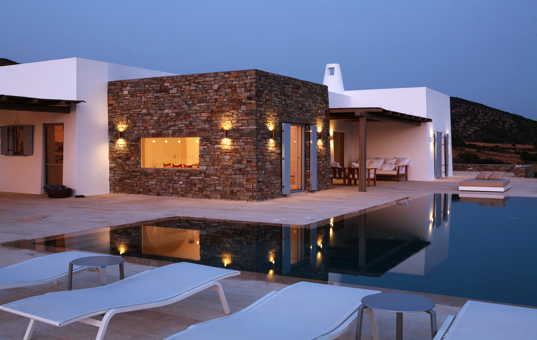 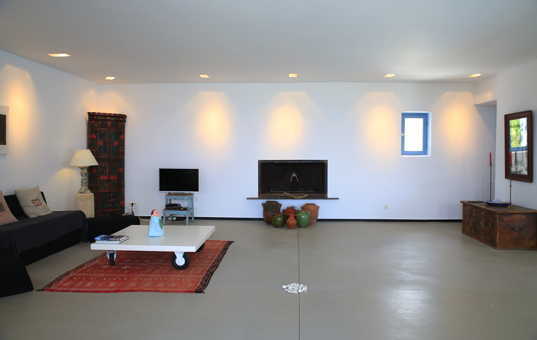 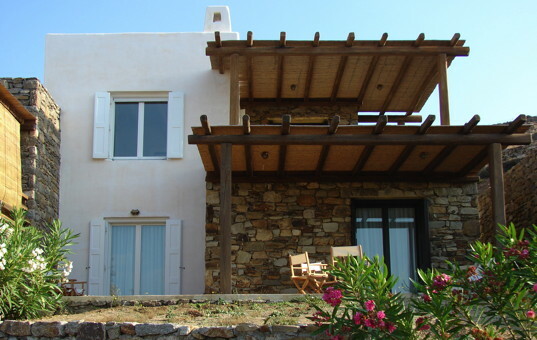 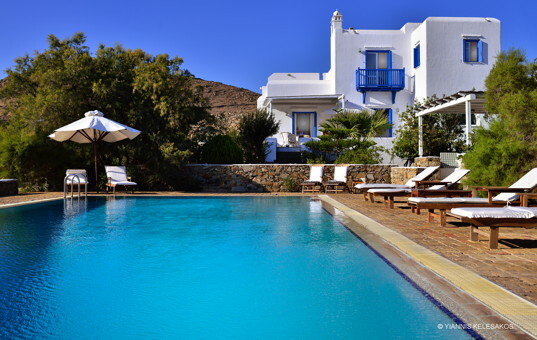 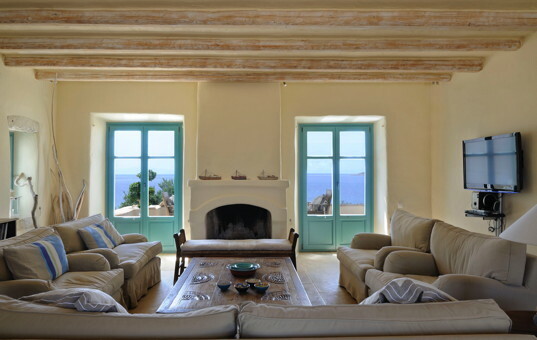 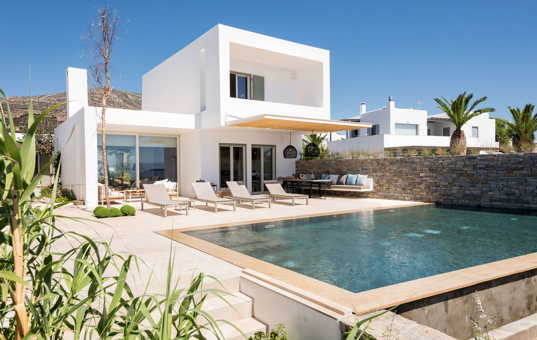 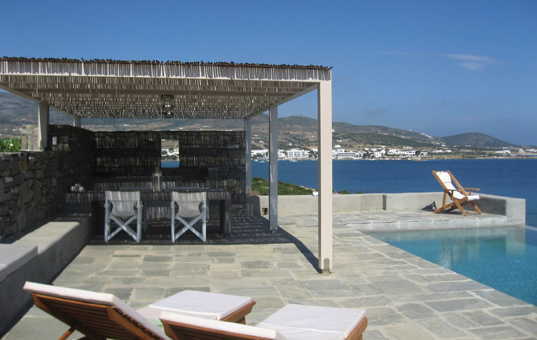 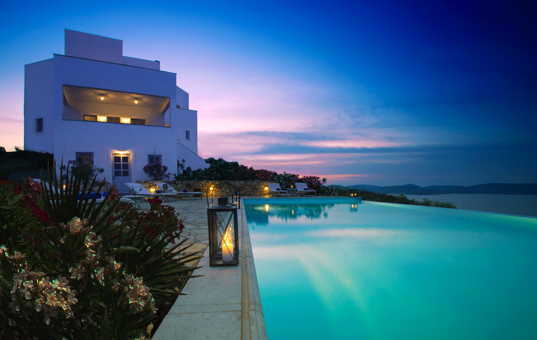 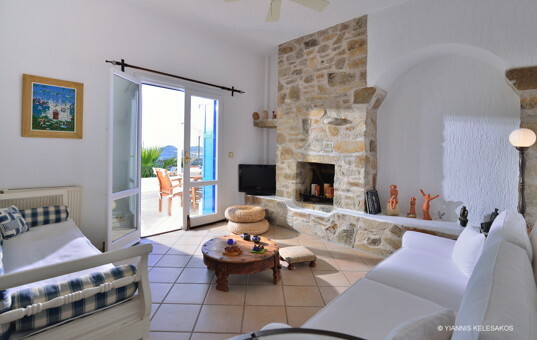 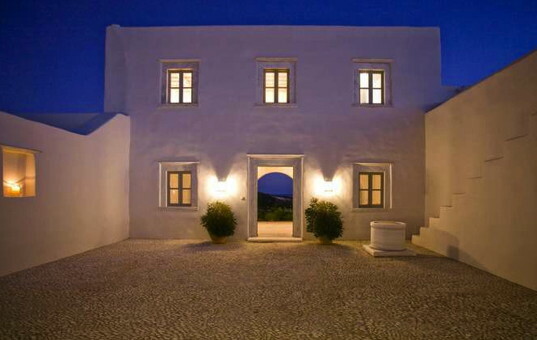 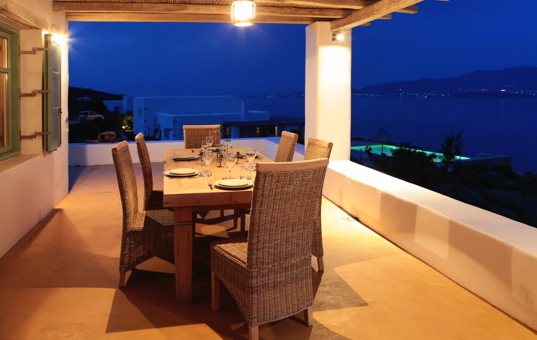 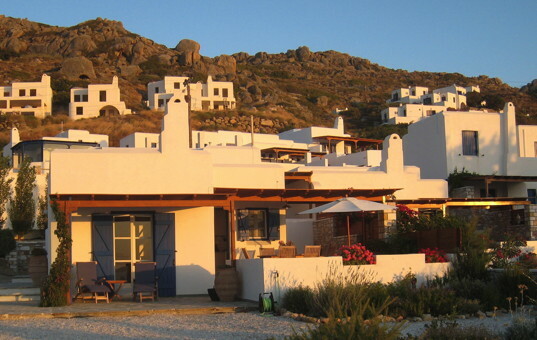 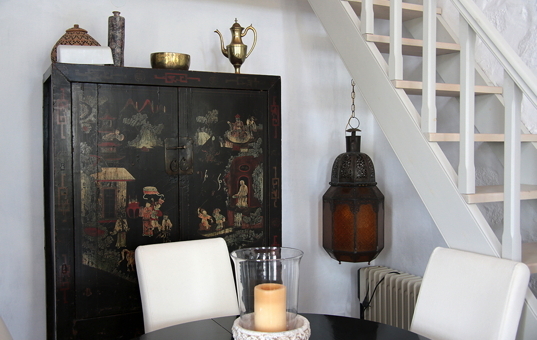 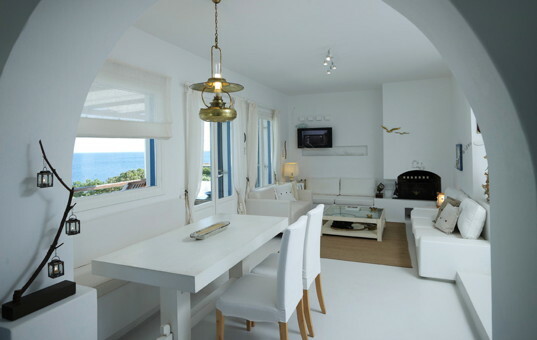 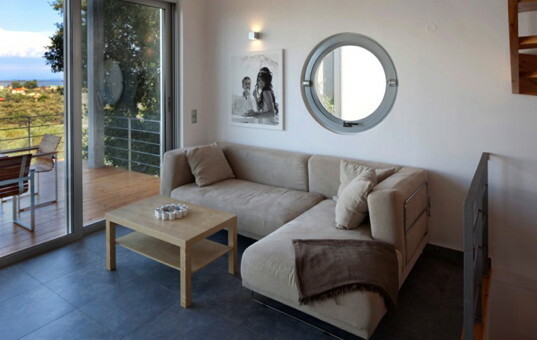 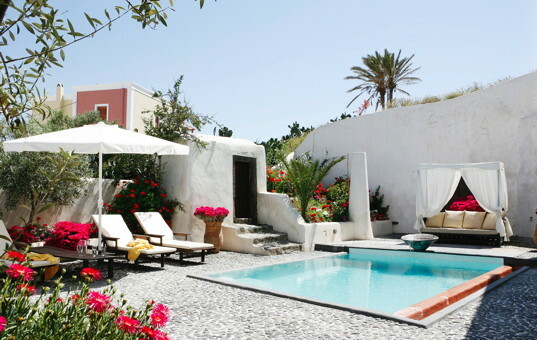 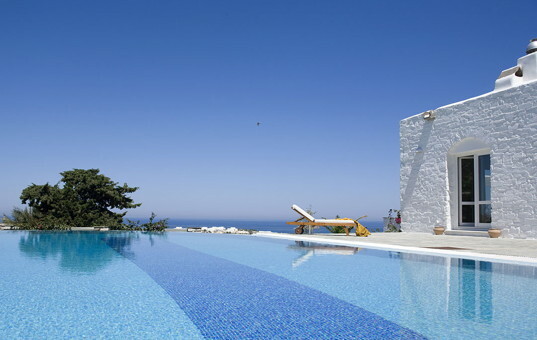 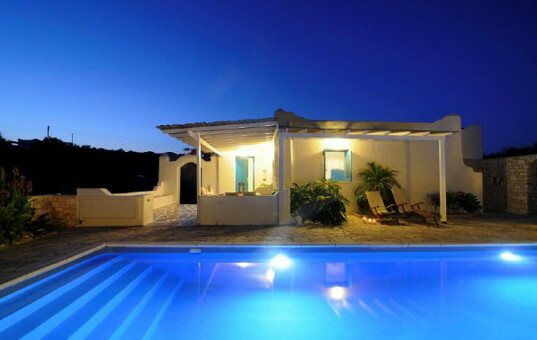 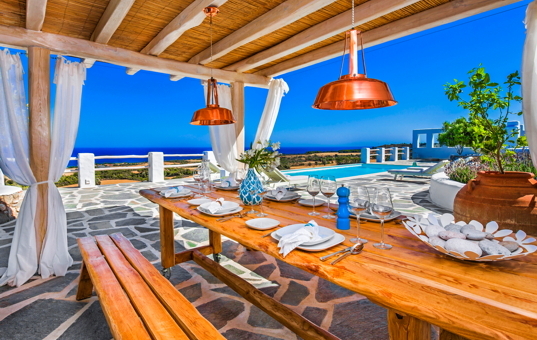 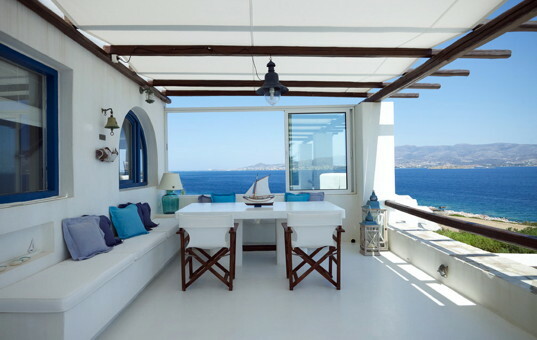 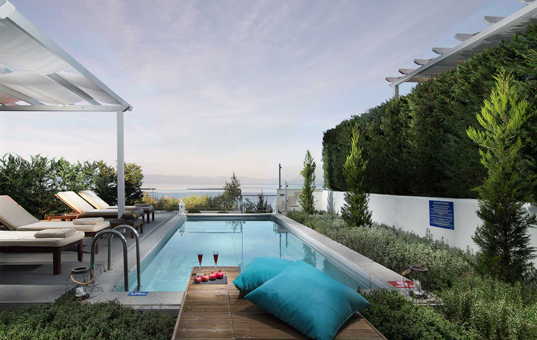 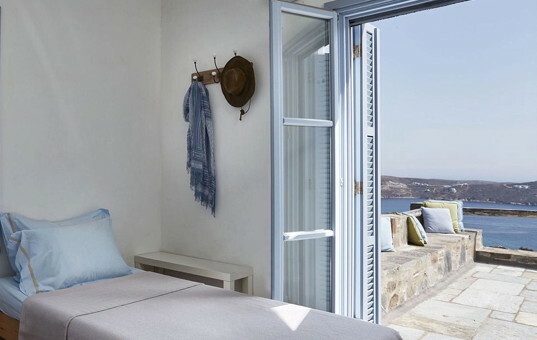 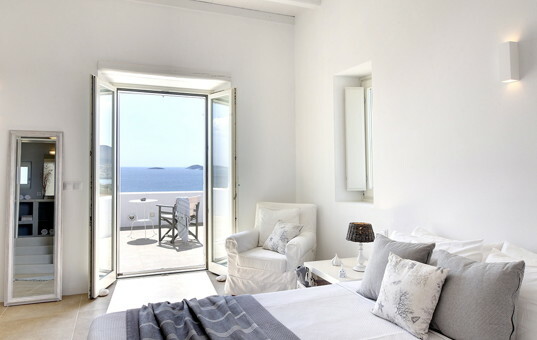 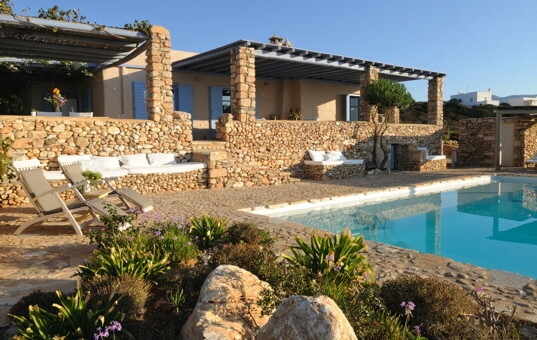 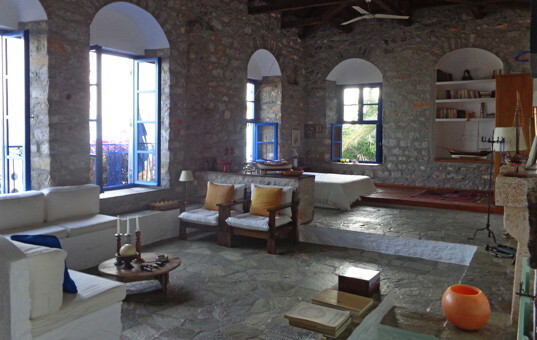 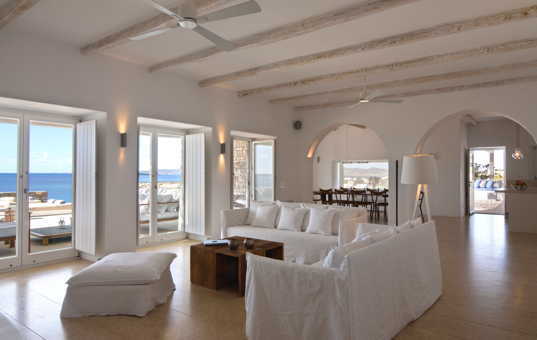 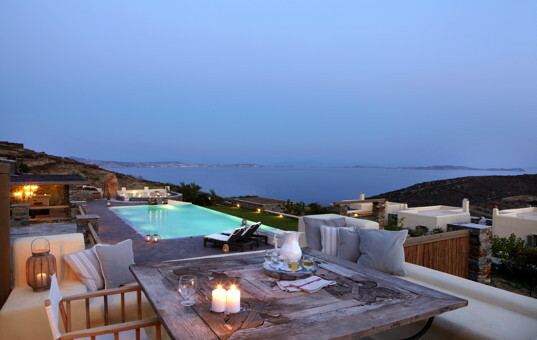 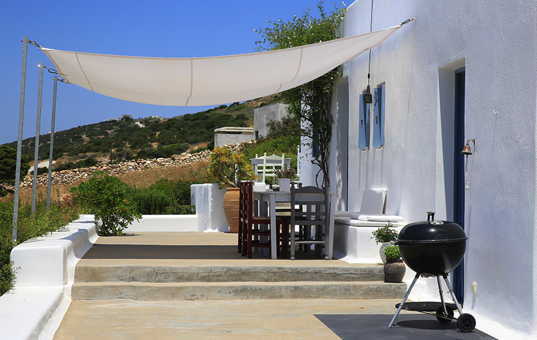 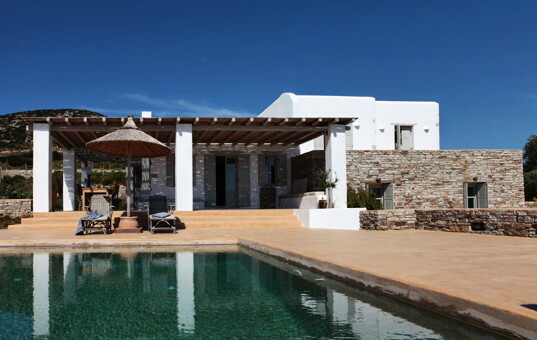 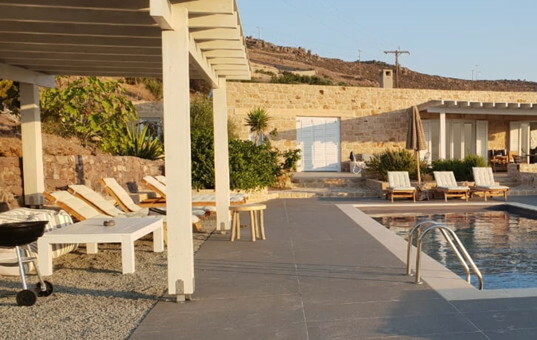 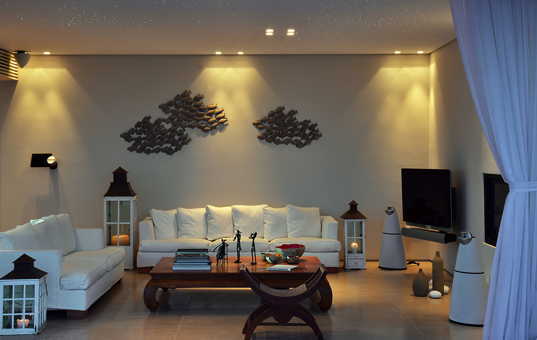 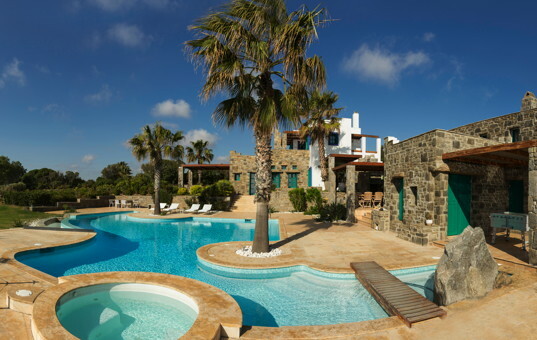 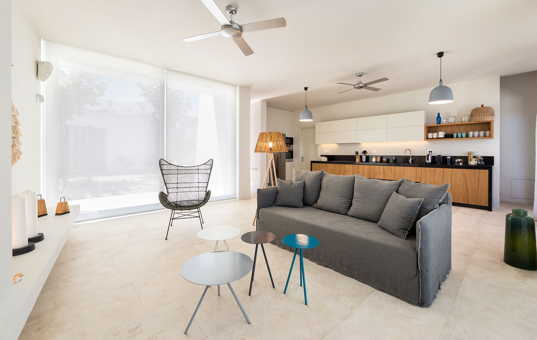 DR Grande Poolvilla | Enjoy relaxing or active holidays in this stylishly designed holiday villa on Tinos island.